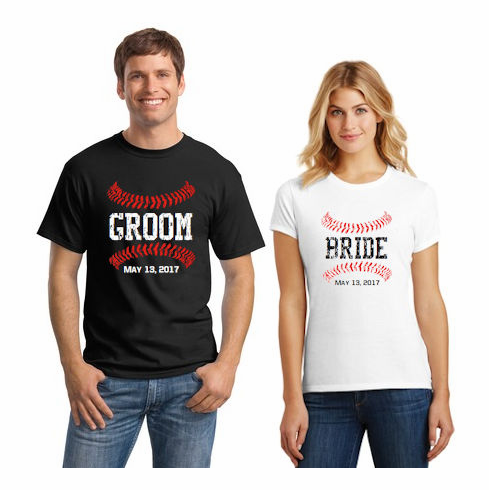 These custom baseball bride and groom shirts allow you to show everyone when you're getting married! Up to 20 characters (wedding date) can be entered for below the baseball. Distressed text and numbers give these shirts a vintage look. Choose the design - adult crew, ladies tank top, ladies v-neck, or ladies crew neck. $24.99 per shirt...if you're looking for the pair, you need to add one at a time to your cart.